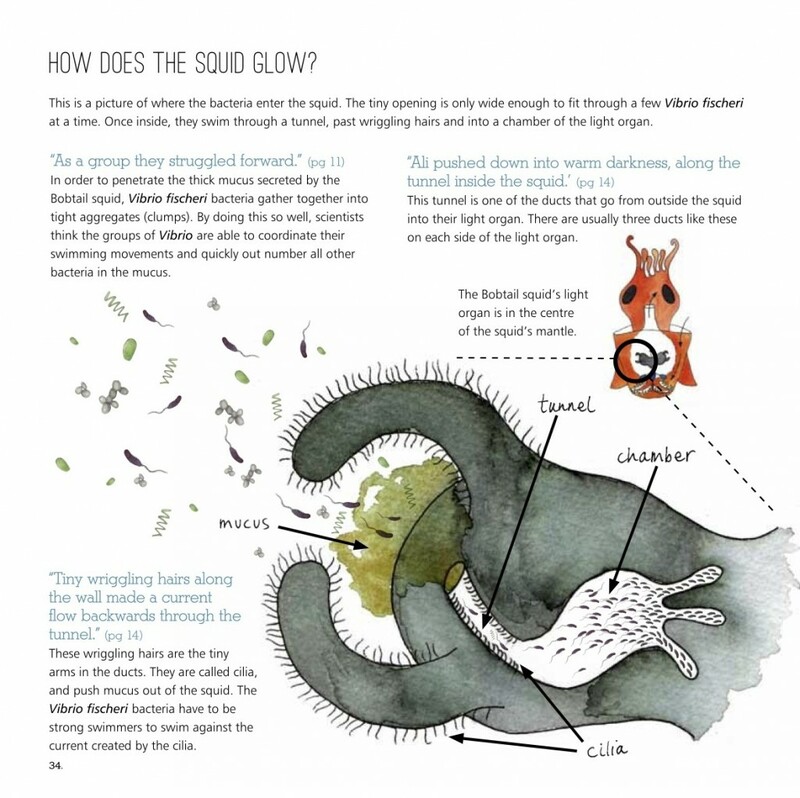 We have created an illustrated storybook about the beautiful symbiosis between the Hawaiian Bobtail squid, Euprymna scolopes, and the bioluminescent bacteria, Vibrio fischeri. 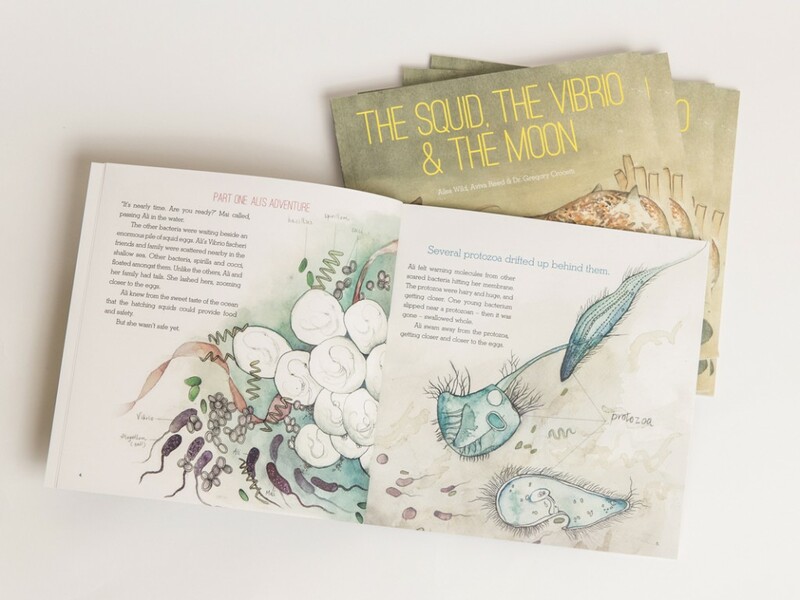 Printed on beautiful matte paper (100% recycled stock & green energy) –The Squid, the Vibrio & the Moon is proving a hit in both schools and homes – especially with adults and children who read together! We’ve also just created versions of The Squid, the Vibrio & the Moon for Apple iBooks and GooglePlayBooks, FREE to download in the first week of May – and then available for AUD $4.99 from May 8th. Teaching notes – with a range of questions and discussion topics for school and home! The Partner-Predator-Prey Food-Web Role-Playing Card Game (Cards & Instructions). 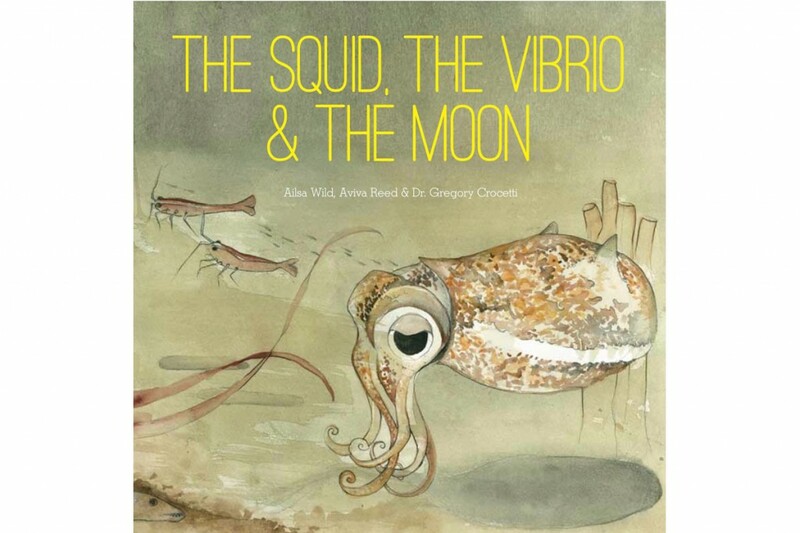 The book was created by Dr Gregory Crocetti, written by Ailsa Wild and illustrated by Aviva Reed. Briony Barr was the art director and storyboarder for the book, also created the scientific illustrations for the science section. Professor Linda Blackall contributed to the book research and also liaised with the McFall-Ngai lab to check for scientific accuracy (*Margaret McFall-Ngai is THE most important microbiologist in the Squid-Vibrio symbiosis field!). 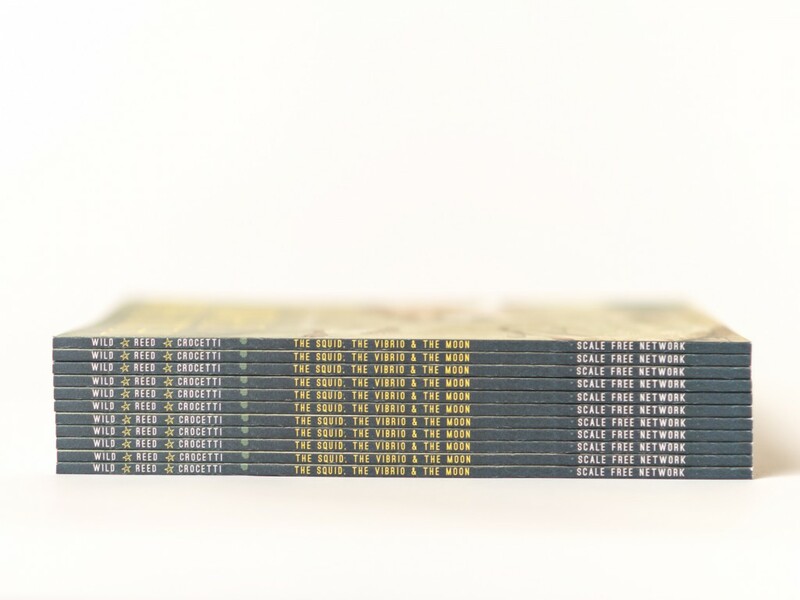 Many thanks also to: to our amazing graphic designer Jaye Carcary; science writer Beth Askham; proof reader Jill Farrar; and Theresa Harrison for taking the ace photos of our completed books!! We hope this beautifully illustrated book will inspire children and adults about our small friends in the microscopic world. 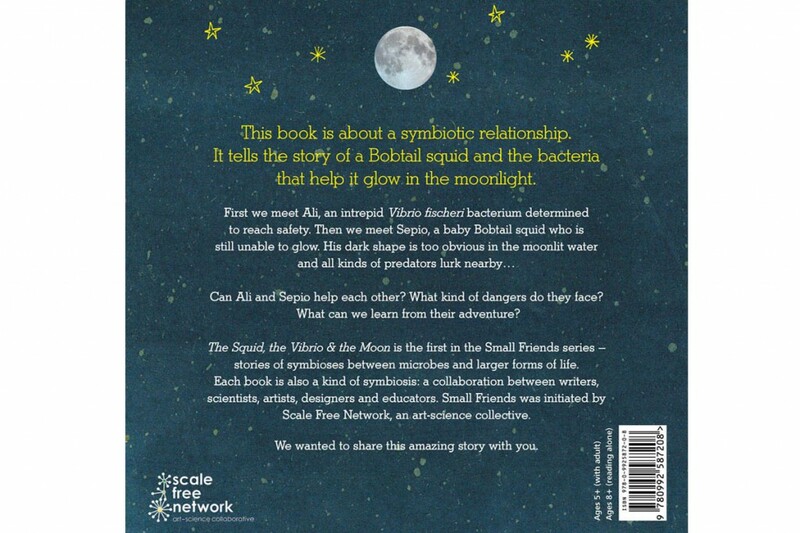 Rich in visual details and scientific content, over a simple storyline about the adventure of a young bacterium ‘Ali’, her friend ‘Mai’, and the newborn bobtail squid ‘Sepio’ – all watched over by the moon. Scale Free Network have worked for many years to reveal the details usually hidden in the microscopic world to children and adults – largely in the hope that they will better appreciate and hopefully love these small friends. This book is the first in the Small Friends Book series. We hope this first book demonstrates our commitment to telling positive stories about microorganisms through some of the (mostly) positive symbiotic roles they play in every ecosystem on earth (including our own bodies). 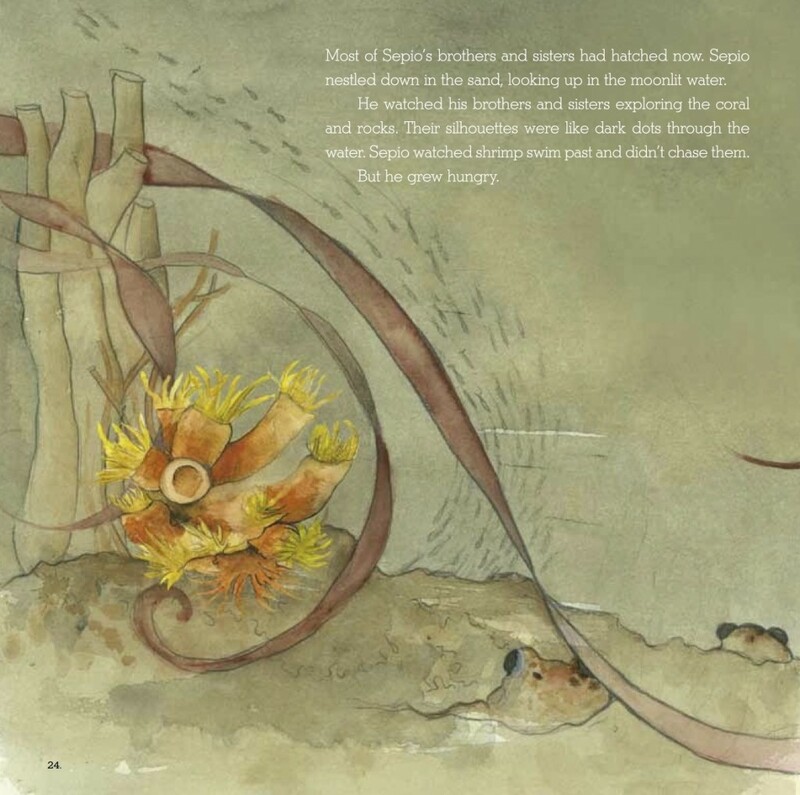 Oh, and if you like this book – you’ll love our coral symbiosis storybook – Zobi and the Zoox!!! Each of the Small Friends Books will tell a different story about microorganisms (bacteria, fungi, viruses) and the intimate relationships they form with larger forms of life. Each story combines engaging written narrative and beautiful illustrations inspired by rich scientific concepts. The books promote the idea that cooperation is a dominant paradigm of nature, not just competition. They portray microbes in a positive light, countering misguided hysteria around germs and hygiene. 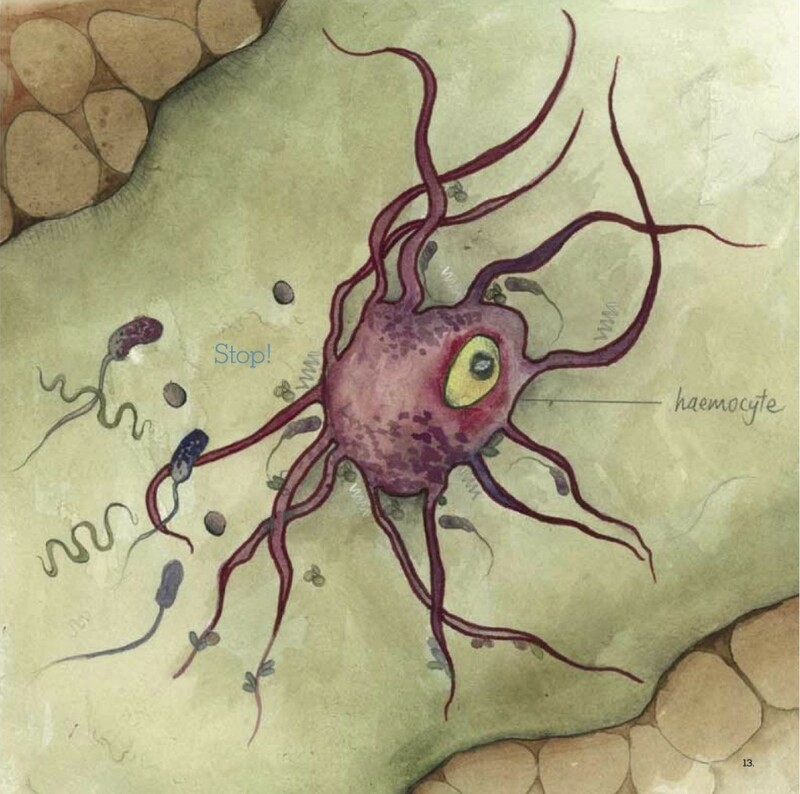 The theme of symbiosis is reflected in the creative team behind the storybook, comprised of a writer, illustrator and microbial ecologist who will work with active scientists, all coordinated by Scale Free Network. The combined work of these collaborators explains these natural phenomena in a way that no single person could do on their own.